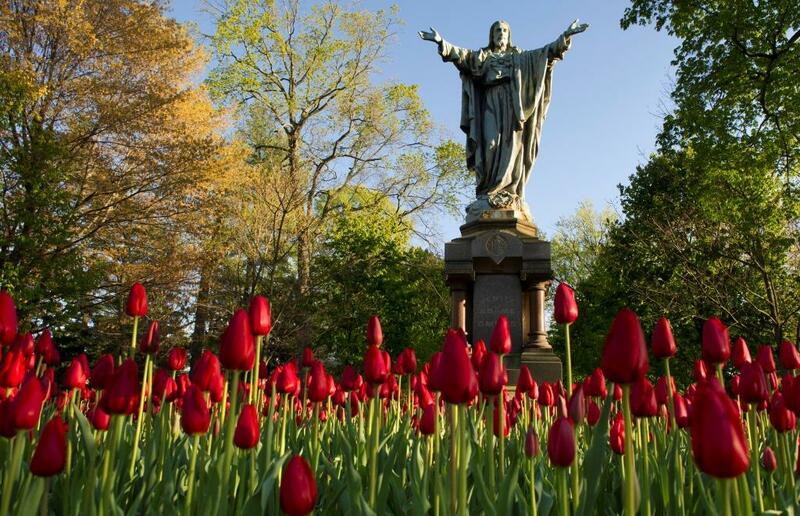 Sometimes I walk around our almost ridiculously beautiful campus and think, “I can’t believe I get to come to work here every day!” I feel it when heading into the Basilica, or down that awesome center path through the trees between the statue of Fr. Sorin and the Dome, or past yet another group of tourists listening intently to the legends and factoids and lore that make up the Notre Dame story. Well, no, I’m not; and yes, I do. I’m almost embarrassed to say how not new I am … it’s been almost 36 years, actually, since I moved into Farley Hall as a first-year student, with a couple of short breaks here and there. A few things have changed: the bookstore, a tiny building on South Quad, was so cramped that at busy times you’d have to line up outside and wait your turn just to enter the building to buy books or t-shirts. What’s now West Quad was still about nine holes of the 18-hole Burke golf course, then our only campus course. So you might think I’ve been here long enough to get used to working (and at times, living) at Notre Dame. Nonetheless, I still have frequent moments of newbie-like awe at my great fortune to have the job I do, as it gives me the opportunity to accompany others as they explore their faith, and in so doing help me grow in mine. After a career path in Campus Ministry that could at best be called “meandering,” and including more years than not of a very part-time schedule while my children were younger, I have been fortunate to land on the Liturgy team. Here (mind. blown. again.) 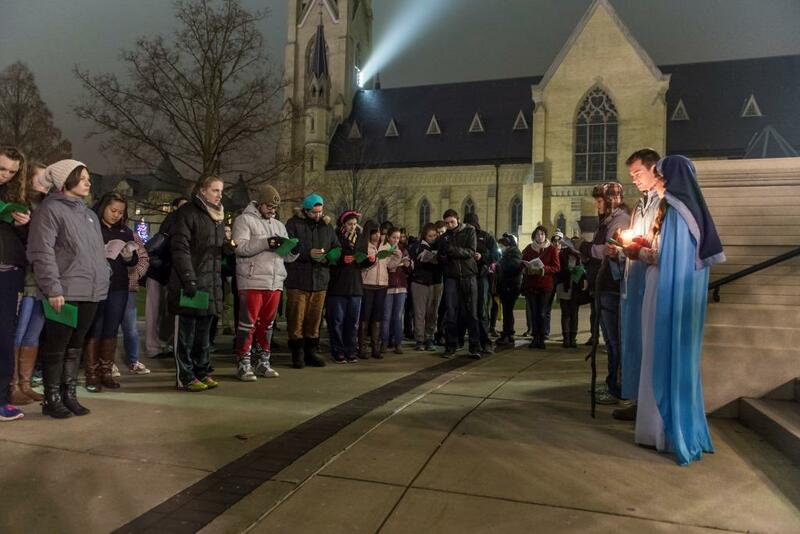 I have the distinct privilege of supporting our common prayer all over campus: the residence halls, the Basilica, the Grotto, even the Purcell Pavilion when we turn it into a giant, temporary church a few weekends a year. I hope my ministry plays a small part in helping all our varied communities – students, faculty members, staff and visitors – to share our faith, to practice it, to try and fail and try again to draw closer each day to Jesus Christ. 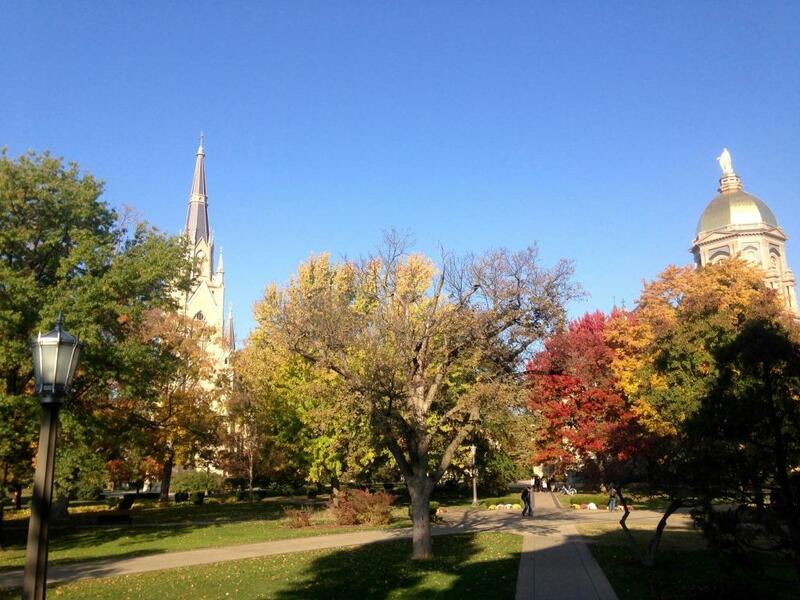 Over the last three-plus decades I have learned that Notre Dame is exponentially more than its gorgeous campus; it’s more than all the facts and stories, embellished or otherwise, that you learn as a visitor, student or long-time faculty or staff member. At various times, Notre Dame has moved me, disappointed me, infuriated me, mystified me, and impressed me beyond my wildest imaginings. Underneath the physical beauty of this place lies a foundation of 175 years of people faithfully seeking to know, love and serve God through a bold belief. 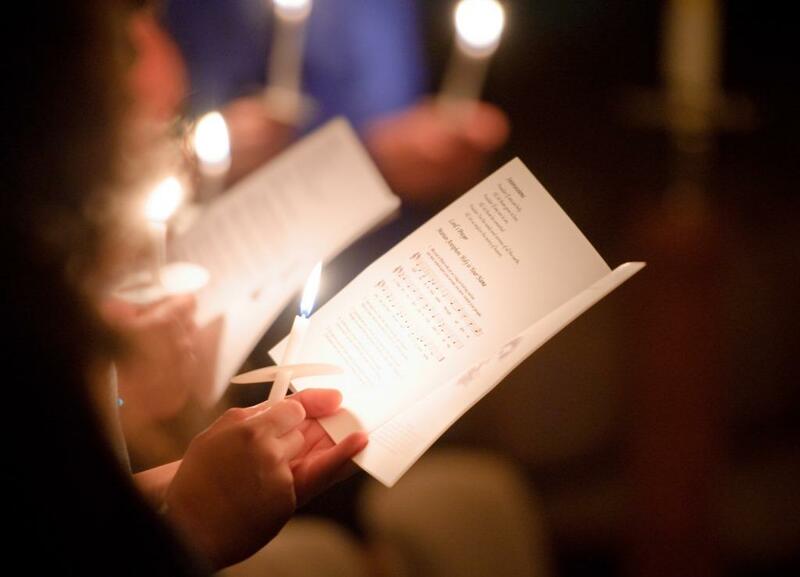 We believe that we can find truth in the classroom and in the Basilica; in the lab and at the Grotto; in the Hesburgh and Kresge and Mahaffey libraries and in the chapels of each of our residence halls. 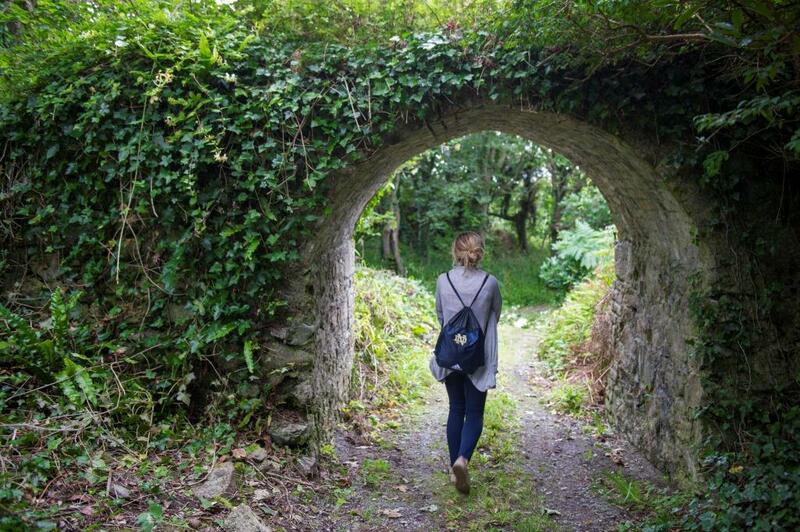 As a student at Notre Dame I somehow knew that I had come to a place deeply saturated with trust in God, a place that truly desired to share that trust with me and each of my fellow students. 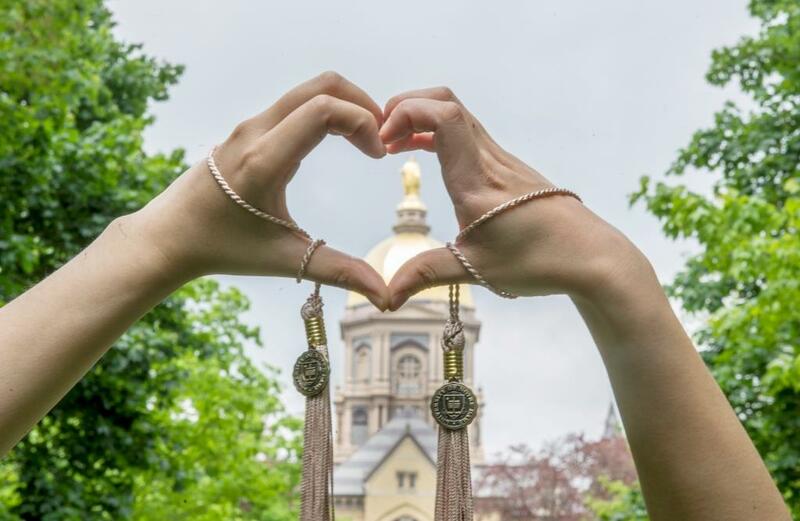 If you are reading this as an incoming first-year student, please know that if you are open to beginning or deepening your relationship with Jesus here, it’s perhaps the best gift Notre Dame can give you. Um, how about an education, you might ask (or your parents might want to ask)? Yes, exactly. The deeper gift of Notre Dame lies in the truth that emerges from the “and.” Your education will be of your mind and your heart, grown in the library and the chapel, in friendships and in service, alone at prayer and joined in shared worship, in sorrow and in joy, when God feels acutely present to you and even when you feel most alone. While you may think this place is beautiful to look at, especially when you are first learning your way around, pay attention to the ways in which the beauty goes much deeper than that. You’ll notice the beauty in the people who will become your dearest friends; in the opportunity to bring your joys and sorrows to prayer at the Grotto or in the chapel just a few steps from your room. You’ll notice it in the questions you’ll ask your classmates and professors and rectors – and the answers will be more complete because we can have the courage to allow faith in God to be a critical part of the conversation. You incoming first-years who are reading this? You’re why I minister; you’re why we all do. Hope to see you under the trees on God Quad’s center path. During a recent pilgrimage to Mexico City, Father Joe (famous for Spanish and milkshake Mass) said the language in which you pray and do math is your primary language. I suppose this makes me bilingual. Just as I don’t think twice about breathing, I don’t hesitate to address God in Spanish or reason through the steps of a math problem in English. I’ve always grown up around two languages and two cultures, but my spiritual identity resonates more clearly within my Mexican/Latina culture. 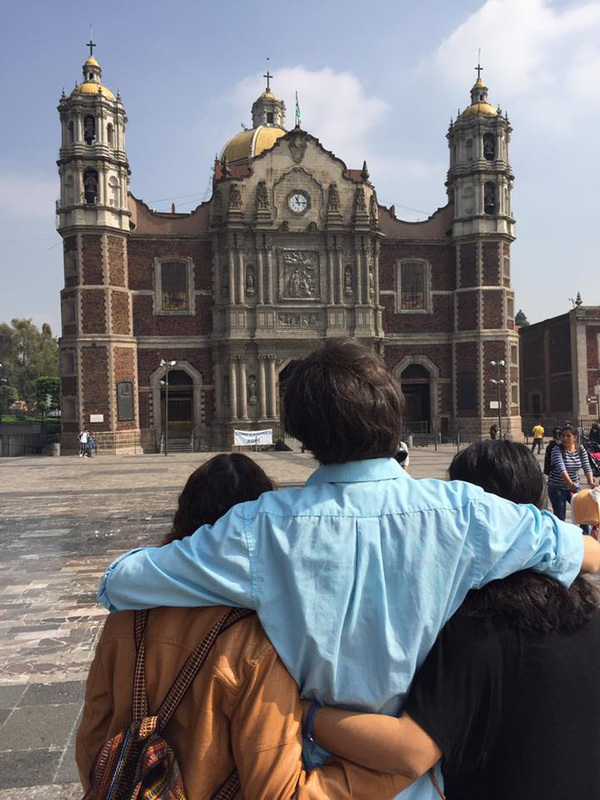 In front of the old Basilica; Mexico City. I remember those weeknights as a young girl when my mom, sister, and I would kneel while my dad and brother stood – all of us praying el Santo Rosario (the Holy Rosary) as a family. In the silence of my heart, I would pray for my dad to stop drinking. I remember those Friday nights when we’d go to the casa de oracion (prayer house) and worship God through song, clapping and shouting “Gloria a Dios!” (Glory to God). I remember the day of my Quinceañera and how, in the midst of the princess dress and the big cake, we made sure to stop and celebrate Mass before the party to give thanks to God and leave some roses for la Virgen de Guadalupe, the patron saint of Mexico. At some point, the prayer house stopped running. My Sunday parish switched from celebratory, upbeat songs in Spanish to solemn hymns in Latin. I began attending a Catholic high school where the monthly Mass and prayers were in English. But I couldn’t connect with “Our Father, who art in heaven” as much as I could with “Padre Nuestro que estás en el cielo.” I started, for the first time, to study theology and I had so many doubts. And I had forgotten to pray every night because God had already helped my dad to get sober. I didn’t need to ask for much else. 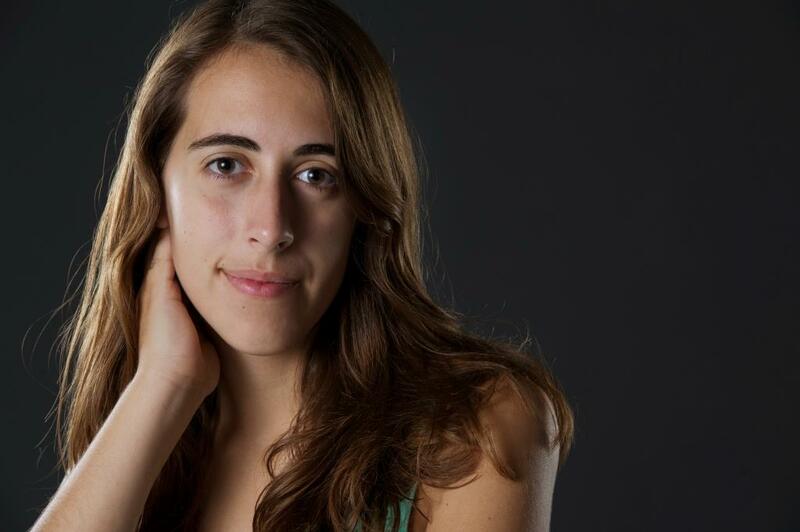 I didn’t come to Notre Dame to better connect to my Catholic identity. Little did I know, my faith would become an integral part of my experience here. The peace I felt spending time alone at the Grotto one Thanksgiving when I couldn’t make it back home to my family. I thought that, in college, I’d get so wrapped up and busy in other things that I would continue to lose that child-like faith I once had. I still fall and I still question, but what a beautiful blessing it is to be able to continue to grow in my faith and experience God at Notre Dame – de mi manera (in my own way). One Sunday evening early this semester, after a particularly demanding week, I stepped into the Lewis chapel to join my community for mass. I felt emotionally and spiritually drained, which was probably much of the reason I felt that my heart wasn’t fully “with” what was happening in front of me. Over the past several days, I had been struggling with intensified feelings of uncertainty regarding my faith. As I listened to the scripture passages, I began to feel the all-too familiar pangs of doubt. What if we’re wrong? How can I be certain what I believe is actually true? I was frustrated—somehow, the reasons and experiences I had previously used to give rationale to my faith seemed suddenly insufficient, and at that moment I didn’t know what I believed. Still, I dropped to my knees during the Preparation hymn, and I prayed—not to be given the answers, but for God to free me from my anxiety and reaffirm my trust in Him. Instantly, I felt a wave of peace wash over me like cleansing water. In that moment, I was reminded of the awesome power of God to transform hearts and release those who turn to Him from the crushing weight of uncertainty. My questions still remained, but I was able to perceive them with new eyes, without the paralyzing anxiety that had accompanied them only a few moments prior. Doubt, of course, is not something confined to our understanding of the nature of God. We can experience uncertainty when discerning our vocation, career, or any decision that affects our lives. Although as I’ve journeyed through my four years at Notre Dame I’ve become increasingly certain that my calling lies in a career in medicine, I must admit that I still have doubts, as terrifying as that can be. Yet, what keeps me moving forward is trust in the notion that what matters is not so much what we do but the person we become, and I believe that by remaining receptive to Christ we can allow Him to work through our lives in amazing ways, regardless of our particular profession. I’ve known many people in my life who don’t adhere to any type of religion because of their doubts. They think there may be some validity to believing in God, but they aren’t quite sure, so they don’t want to fully open themselves to the possibility just yet. But I would argue the only way to combat this uncertainty is to take the initial step and enter into a relationship with God. If, when faced with any other decision in our lives we acted only when we were absolutely certain, it is unlikely we would accomplish much of anything or leave room for personal growth. Just as you can’t know if you truly want to be a doctor until you begin to follow the path of medicine and discern as you go, it is impossible to come to know God apart from God. We need to be willing to trust despite our uncertainties and at the same time present our doubts to God in prayer and allow Him to work through them. I’ve encountered moments of uncertainty regarding both my faith and my vocational path time and time again. Yet I’ve come to see these periods not as failures but as an opportunity to grow. Consider this—each of us carries a unique personal philosophy and a particular representation of the world. When we have an experience that doesn’t fit neatly into our paradigm, we have the option to either reject it or alter our philosophy to accommodate it. This is the reason why we can be so sure of our beliefs at one point and be overcome with doubt later on. New experiences require us to reach a new equilibrium, and it is in this way that uncertainty allows us to break down our prior understanding of God and build a more perfect one. Thus, experiencing doubt doesn’t make our faith weak; rather, it can actually serve to strengthen our beliefs and challenge our faith to reach a new level. To all those reading this today who are experiencing doubt in any aspect of their lives: do not despair. But also, don’t try to overcome your uncertainty alone. I encourage you to take your fears and inhibitions to prayer, asking God to transform your heart and grant you clarity of mind. I won’t promise the answers will come all at once. But I do hope you will be able to find peace and deepen your understanding of what is True. It begins with trust, and trust strengthened by prayer. 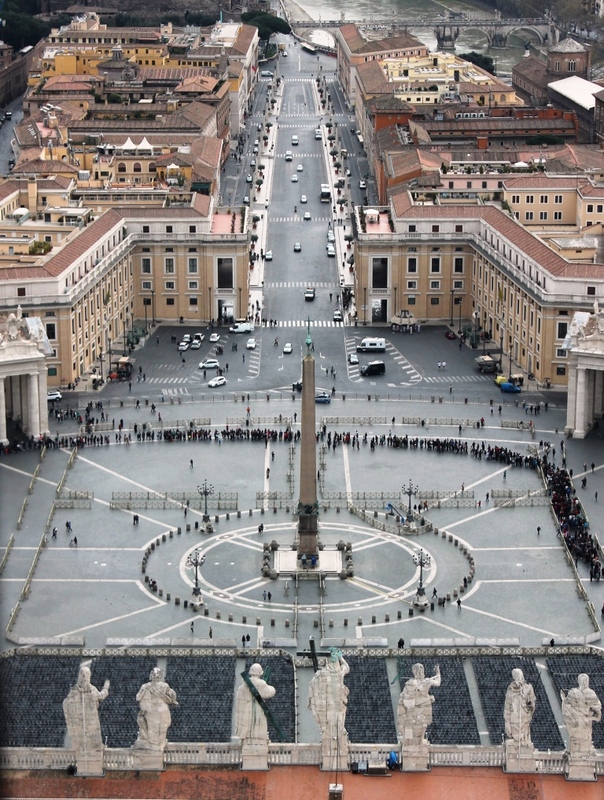 View from the top of Saint Peter’s Basilica. Rome, Italy. The truth is, I do stop. I try to do so daily. Wherever I am. And this is part of the reason I’m able to (imperfectly) follow where the wind blows. At Holy Cross, it was at daily Mass right before lunch. In DC, it was reflection on the metro or on the roof of my uncle’s apartment. In Texas, on walks during breaks at work, and at yoga. In Rome, at a new church almost every day. In Boston, at a chapel in the middle of a shopping-convention center. Or on a park bench. 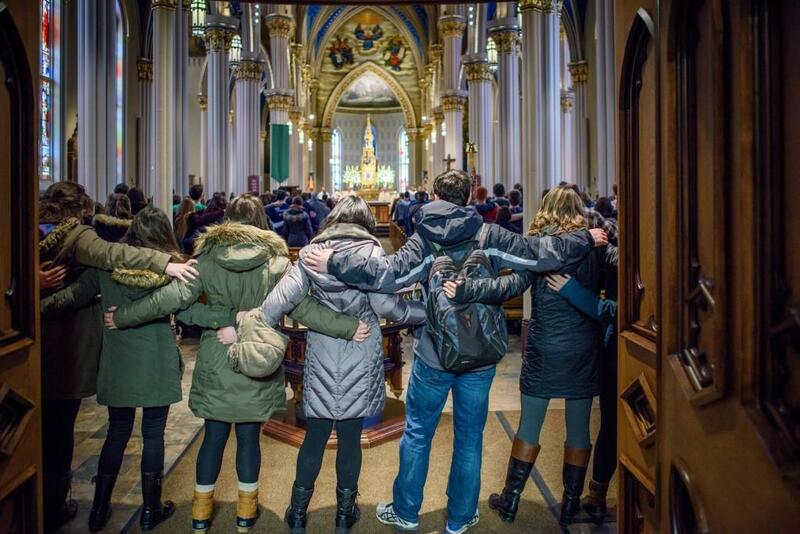 At Notre Dame, in any chapel, especially in Adoration at CoMo or kneeling in front of the tabernacle in Geddes. Or, in the Lyons chapel in the middle of late-night paper writing. And in all of these places, God answered my need for companionship with friends who accompany me in my faith. There are challenges with all of these movements, some easier than others, and I’ve learned there needs to be a constancy through it all, or else I find myself lost in the thoughts and worries I often create. A routine is helpful- for me, between Lyons, South, Debart, and CoMo- a checklist for the day’s major to-dos is helpful, a regular call home is helpful, and regular meals and honest conversations with friends about our struggles in addition to our joys are helpful to remind us that we aren’t alone. Yet, even these things aren’t enough, especially when we’re thrown off balance, when plans fall through or are interrupted, when a 3 page paper takes 10 hours longer than expected, when we catch a cold, when it rains on game day, when we suddenly realize how unhappy we are with our major, when someone we love passes or moves away, or when family dynamics change. 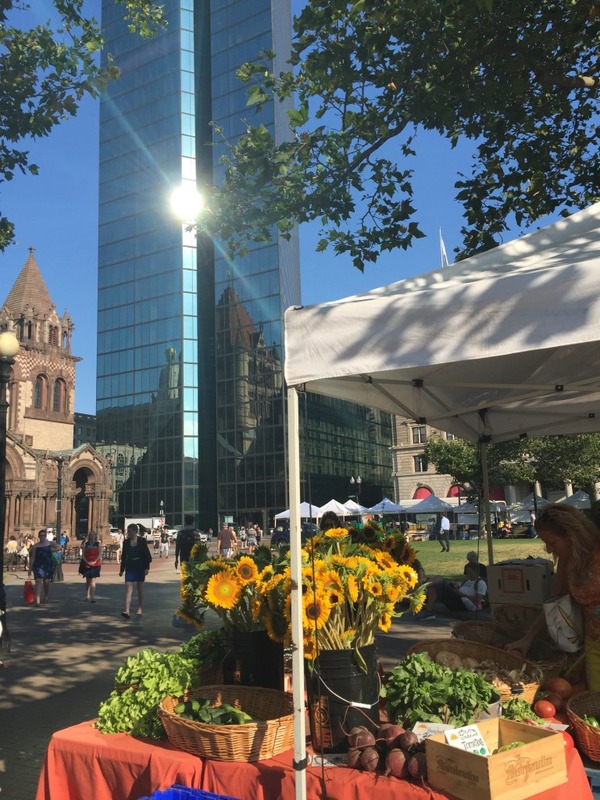 Farmer’s market outside my workplace in Boston, summer 2016. Sunflowers are a reminder for me, especially in the hustle and bustle of the city, of the beauty that comes from growing toward God, just as sunflowers grow toward the sun. I have a great need for a constant that is not of my own effort or creation, because, let’s face it- I, like most of you, am already exhausted keeping up with everything else. In the 6 minutes and 26 seconds of this beautiful melody, all of life is present: one moment you’re happy, then sad, some moments are more intense and uncertain, others are simpler and more peaceful. Chopin really tugs at our emotions as he expresses the human fragility and unstableness that we’ve all experienced. If we change our focus a little bit as we listen to this piece, we can hear a single note repeated over and over again that underpins the larger melody. The most boring note in the background becomes the most interesting as we sense there is a strength that comes through the transitions. It is the heartbeat that guides the whole story. Listening to this, I ask myself, what is my source of strength, joy and hope through my fleeting emotions and circumstances? What is the backbone and constancy through the ebb and flow, changing seasons, and all the transitions? What unifies everything in my life? God, unified with the desires of the human heart, is always there. From John 20:28- a recognition of God among us, as St. Thomas exclaimed when he put his hand into Jesus’ pierced side. Notre Dame has further instilled in me that one’s “faith life” doesn’t have to be separate from the rest of life. I’ve discovered that my faith is the guiding backbone through every transition. I’ve discovered faith to be a relationship with God who is the heartbeat that is always there, giving meaning and deep joy -even through the difficulties- to everything. It’s amazing how easy it is to forget this simple fact when the heaviness of life rolls in as it does in Chopin’s piece. In these moments, it takes just a brief pause to pray in order to bring my focus back to what unifies the greater picture. Little by little, I become more deeply rooted in the constant heartbeat of God that guides the melody of my life. 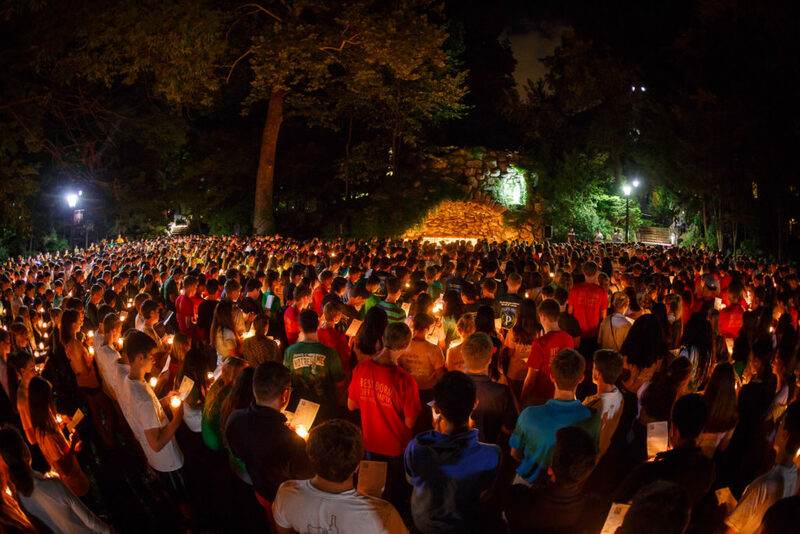 If there is one thing I have come to expect as a Notre Dame student, it is an amazing summer. Despite not being able to see the golden dome on a daily basis, or being deprived of make-your-own-pizza-night at South, I can count on Notre Dame to provide for me in different ways during the summers. But this past summer, my final summer before becoming an alumna of this wonderful University (God willing!) was different. It was not, by my quite high standards, amazing. My tasks this summer were to take the MCAT. Complete the primary med school application. Drive almost an hour to and from a lab for my unpaid internship. Work on med school secondaries. Repeat. While I am still grateful for the opportunities I had this summer, and I feel extremely lucky to have worked in a lab near my home and apply to medical school, my overall experience was not as life-changing or fulfilling as say the summer I spent working at my SSLP, or being a small group mentor at Notre Dame Vision. Rather, the daily routine wore me down. Commuting filled me with frustration. As one would probably guess, retelling my greatest challenge and what I learned from it on ten different med school applications exhausted me. And most importantly, I fell out of touch with God. I was so used to the accessibility of Mass and chapels on campus that without them, I was praying much less. But even though I was putting Him to the side, God didn’t forget about me this summer, and one way He showed me was through daily Mass. If I wanted to, I could have gone to daily Mass at my parish most mornings before making the commute to the lab. Unfortunately, because I typically wanted more sleep, I regretfully didn’t go very often. But one morning I pulled it together and went to 8 a.m. Mass. When I got there, I followed the lead of the almost exclusively elderly congregation and picked my own pew. To begin Mass, the priest started with the Prayer to St. Anne, which alerted me to the fact that it was Novena week. Before I could debate whether it was worth it to take the long walk back to the door to pick up a booklet of prayers, I felt a tap on my shoulder, and a married couple behind me offered me one of their books. It happened so fast that it was nearly a reflex for them, and though my first instinct was to feel embarrassed, I quickly remembered that this was no place to feel self-conscious, so I expressed my gratitude instead, and then was able to recite the prayers that followed in unison with the congregation. That morning, I got to receive Jesus Christ in the Eucharist before I headed off to work. My day was centered on God. My commute was less frustrating, as I thought more about the people inside the cars than the traffic jams produced by the cars themselves. Later in the day, as I was pipetting cells and spreading them on a petri dish, I finally remembered that God really is in all the work we do as long as we do it with Him in mind. After attending just one daily Mass, my day turned out radically different, and it was because God filled me with His Grace after I started my day with Him. After that lovely day, I definitely didn’t make a perfect attendance record at my parish’s morning Mass, but the monotonous, tiring days were more bearable with a heart full of gratitude. I focused more on God and prayer and decided to try something new which was to read more spiritual texts. I think God used this summer to challenge me to mature in my faith, since we both know that I only have one year remaining at the University of Our Lady of the Lake. Still, with school starting back up, I am reminded of how challenging and monotonous the days here can be too. 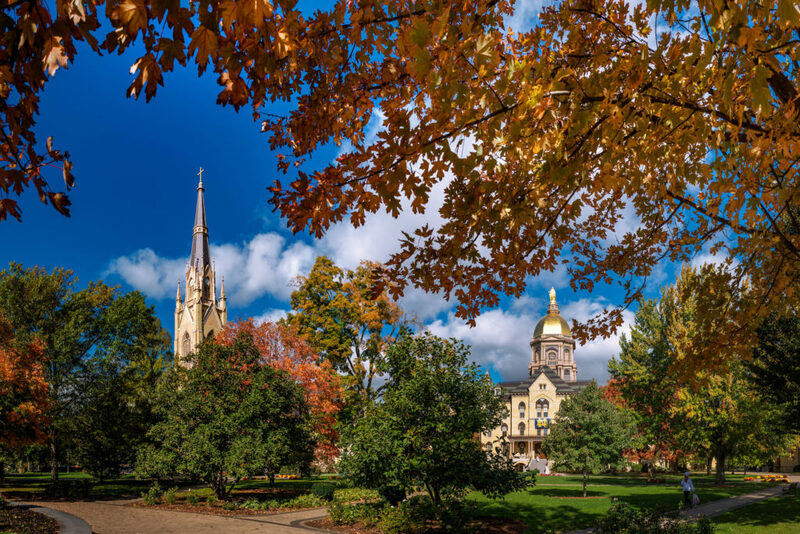 I love Notre Dame, and I am thrilled to be back, but I know football season will end and winter will come, bringing with it projects, exams, and stress. It is possible that you might already feel overwhelmed or in a rut. If so, I urge you to find your own way to spend time, on a daily basis, with God. We are so lucky to have access to incredible opportunities for growing in faith here at Notre Dame, and God wants us to include Him in all that we do. Whether it is attending daily Mass, finding time to light a candle at the Grotto, going for a nature walk with a friend, or reading a book and praying and reflecting on it, there is something you can do every day, alone or with community, to maintain your relationship with God. I promise you there is enough time, and I know that God will bless your busy-ness with His presence. If this summer taught me anything it’s that it’s a lot easier to find God if you give yourself a chance to look. During my freshman year at Notre Dame, I knew exactly what I would be doing after graduation. I had my entire life figured out. Looking back, it’s curious to see that the farther away I was from graduating, the surer I had been about what I would do afterwards. And now, as a senior, the closer I am to graduating (knock on wood), the more uncertain I have become. Go figure. Let me give you a glimpse of what my time at Notre Dame looked like, and the rollercoaster of a ride I gave my academic advisor during these years. I entered as a Psychology/ Pre-Med student, dropped Psychology, picked up Political Science, dropped Pre-Med, picked up Philosophy as a minor, picked up Italian as a supplementary major (because, why not? ), picked up Theology as a minor, raised Theology to a major, was irked that Political Science did not have a minor, dropped Italian as a supplementary major, was accepted to the Hesburgh Program in Public Service minor, dropped Theology back to a minor, raised Philosophy to a major, dropped Theology all together, and dropped the Hesburgh Program to finally be the Philosophy and Political Science double major that I am today. Amidst the craze of what could accurately be called my academic shopping splurge at Notre Dame, dreams of my future came and went, rose and fell like the tides of an ocean. I had set my sights on going to medical school, becoming a neurosurgeon, and discovering the cure for Alzheimer’s; going to graduate school for International Relations, joining the Foreign Services, unraveling the enigma that is North Korea, and becoming the next Secretary General of the United Nations; working in public policy, serving as the Chief-of-Staff to a future President of the United States, and being elected Speaker of the House; earning my Ph.D., and teaching philosophy to students at a small Catholic university. The list goes on, but one can only change one’s major so many times before worrying one’s parents to death… And now that the day of reckoning draws near, I have never been more unsure of what the next step in my life should be. Sure, I can convince everyone I have my life in order with the elevator pitch I’ve memorized over the years. But that pitch is more to reassure myself I have my life figured out so I don’t lose my cool. Because frighteningly enough, this next step seems like it will largely determine the course of the rest of my life. And if that isn’t a daunting thought, then I’ve never had one. Sometimes, I just want to let go, give up, and run off into the sunset, escaping this stressful world and eloping with destiny. I especially feel this way when I occasionally catch myself day-dreaming about life on a farm 300 years ago. I picture myself rising from bed with the sun, breathing in the crisp and refreshing morning air, working the land with nothing but fresh soil between my toes, and drinking the ice cold water from the chortling creek nearby. I dream of watching the radiant sunset dip between the great sycamore trees and behind the grand mountain range beyond after a hard day’s work, and laying under a black tapestry of stars shimmering with songs and stories of heroes and monsters weaved meticulously into the fabric of the night by the ever-flowing fingers of Time. And sometimes, I daydream of being a dog, and having absolutely nothing on my mind except Kibbles, good belly rubs, and the consistency of squirrel droppings at the park. The unexamined life is a life free of stress and obstacles. It truly is an encouraging thought to know that we are meant to be where we are now, and that every step we take forward is essential to the grand scheme. But the path to our final destination, is it right or left? Corporate finance or management consulting? Medical school or service work? To Orgo, or not to Orgo? than falling in Love in a quite absolute, final way. The great secret to our vocation lies in what we secretly love greatly. So to all my fellow anxious and despairing Domers out there: fall in love, stay in love, and it will decide everything.